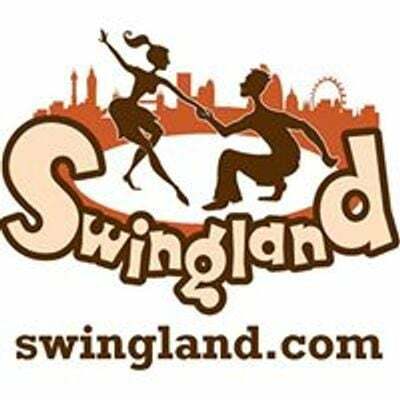 C Jam is Swingland's Tuesday night swing dance and music club in South London, with Lindy hop classes followed by freestyle dancing to top swing DJs. The evening at C Jam kicks off with swing dance (Lindy hop) classes. Join any week. No partner needed. Learn all the basics with simple fun routines aimed at getting you dancing quickly - with plenty of emphasis on good lead/follow technique and connection as with all our classes! No experience required. Absolute beginners always welcome! Move your dancing to the next level! 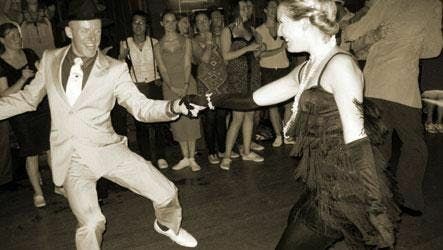 After the classes we have dancing til 11pm! From 9.30pm it's freestyle time - try out the moves you've learnt, or grab a drink and watch what's going on (The Exhibit has a fully licensed bar downstairs). Resident DJ Martin & occasional guests play "the best swing music in town" and are happy to take requests too.